Holding your wedding or ceremony at The Powerscourt Arms Country House is the perfect way to enjoy a traditional Irish country wedding in a wonderful location. Intimate setting, with excellent food, surrounded by your closest friends and family, what better way to start your married life. Our house lends a style and elegance to your day that is difficult to match in a conventional wedding hotel. Today’s weddings are about individuality and creativity and at The Powerscourt Arms Country House we are able to personalise and tailor-make your plans for the ultimate bespoke wedding. 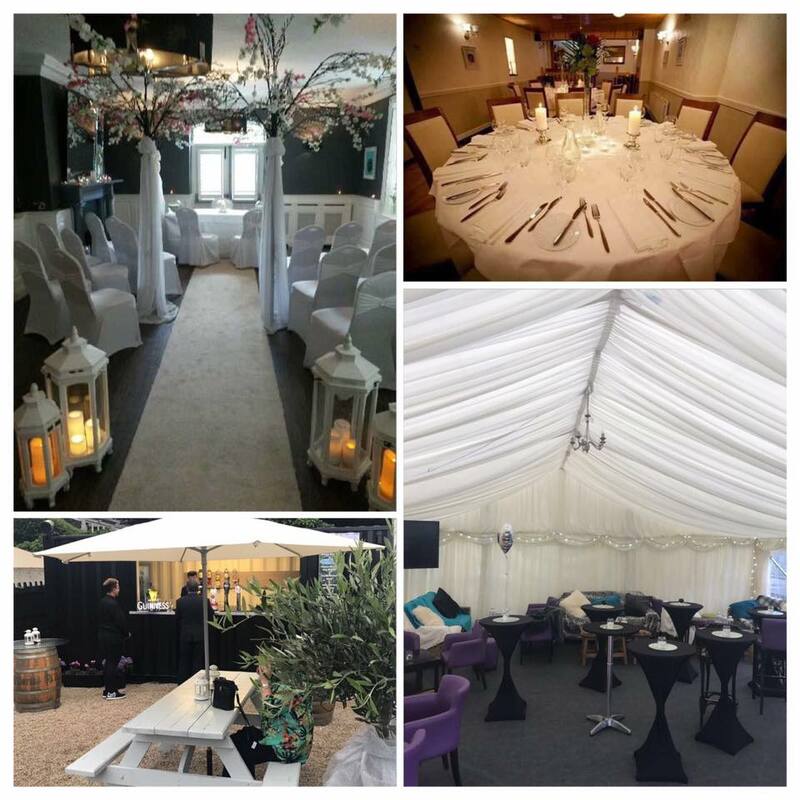 Our Grapevine Restaurant with its own private terrace can cater up to 40 people or our Marquee in Macs Garden can cater for up to 120 people. 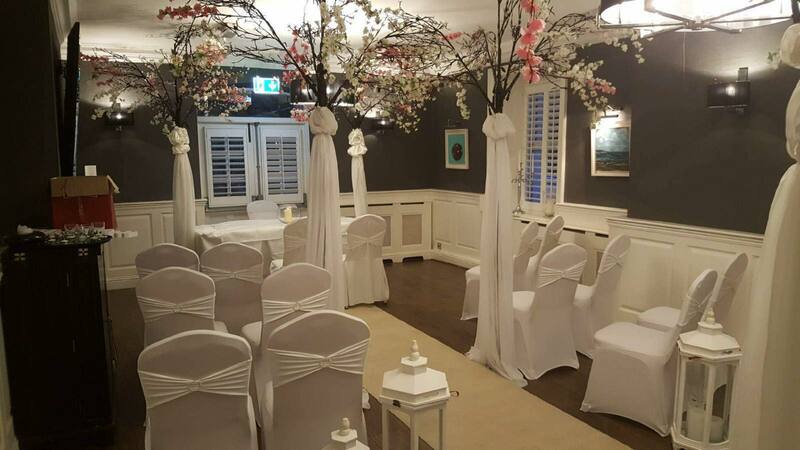 Civil Ceremonies: We can provide wedding couples with their complete wedding package including the opportunity to host your civil ceremony or partnership here at The Powerscourt Arms. Number of Guests: Up to 40 guests for a reception in The Grapevine Restaurant, up to 60 guests in The Powerscourt Suite & up to 120 guests in Mac's garden Marquee. Catering: We can offer a range of superb menus for lunch and dinner events, champagne and canapé receptions, gourmet barbeques, buffets and spit roast. Our team can cater for all requirements with bespoke menus tailormade to your specific taste. An excellent wine menu is available with many vintages and a fully stocked bar. Accommodation: We can accommodate up to 22 guests in our house. We are also delighted to coordinate rooms in the local B&B’s & Air B&B homes. 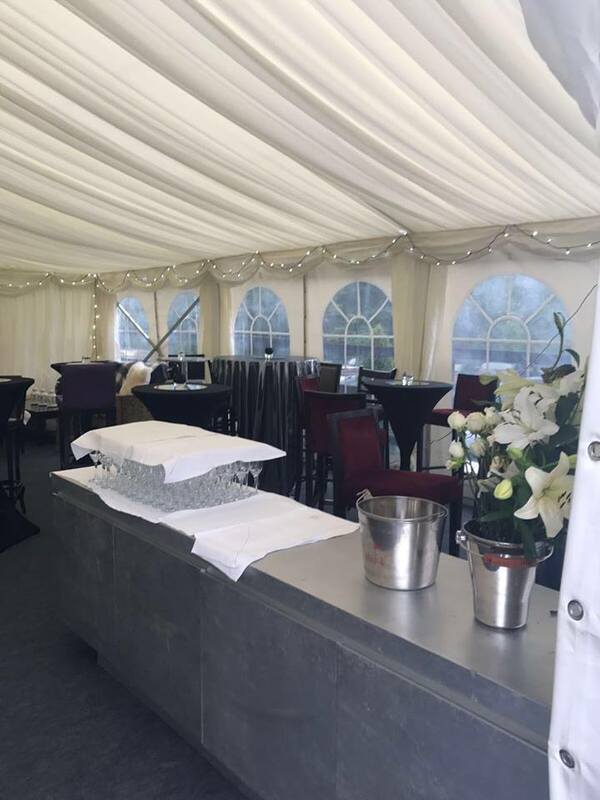 Marquee: For a marquee reception or Day 2 wedding parties we provide a luxury marquee, fully lined and carpeted, with dance floor, chandeliers, heating, tables with white linen, chair covers etc.